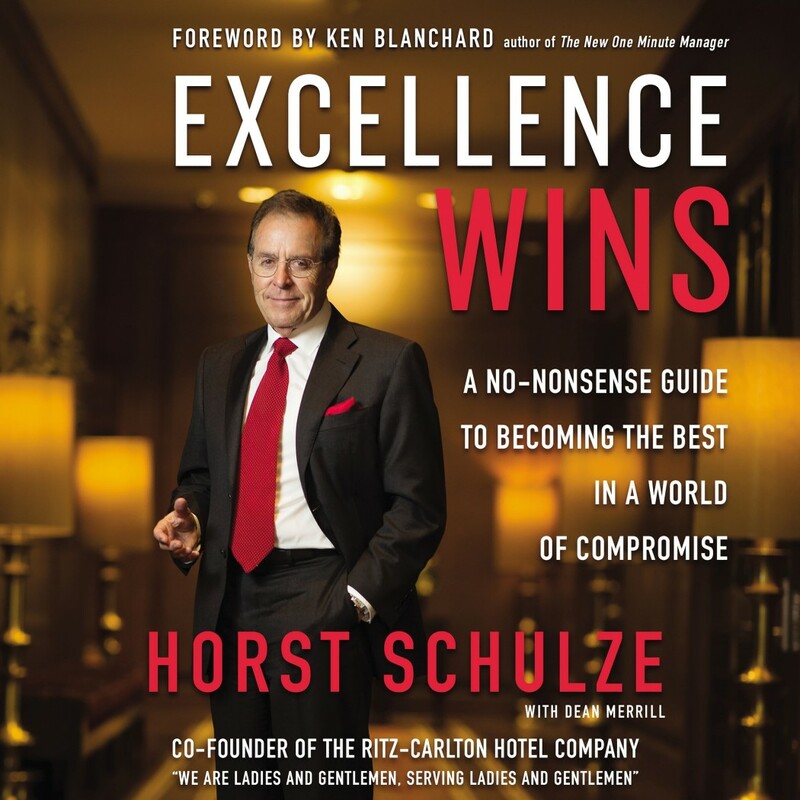 Excellence Wins | Horst Schulze | Audiobook Download - Christian audiobooks. Try us free. 'Horst Schulze created a culture of service that should be a role model for all of us. By committing to the highest standards of professionalism - and creating the right systems to achieve them - he inspired thousands of people to embrace and embody the core ideal of sheer unadulterated excellence. With this profoundly useful book, Schulze now shares his story, and his methods, so that the rest of us can be uplifted and taught by the master himself.' -Jim Collins, author of Good to Great, co-author of Built to Last 'Horst Schulze's influence on my family and our business is undeniable. His approach to customer service revolutionized the hotel industry and set a high bar for all of us. His new book, Excellence Wins, weaves Horst's personal story with the practical wisdom he's gleaned from an incredible career of servant leadership. It's a must read for leaders and anyone passionate about serving people.' -Dan Cathy, chairman and CEO, Chick-fil-A *** CEOs. Leaders without titles. Startups. Corporations. For-profits. Nonprofits. It doesn't matter who you are or what you do - you want to become the best. You want to win, every time. Horst Schulze knows how to win. In Excellence Wins, Schulze, in his absolute no-nonsense approach, shares the visionary and disruptive principles that have produced immense global successes over the course of his still-prolific fifty-year career. As the co-founder and former president of Ritz-Carlton Hotel Co., Schulze fearlessly led the company to unprecedented multi-billion dollar growth, setting the business vision and people-focused standards that made the Ritz-Carlton brand globally elite. Schulze's principles are both versatile and utterly practical to leaders of every age, career stage, and industry. You don't need a powerful title or a line of direct reports - you have everything you need to use them right now. If you're searching for the blueprint to beating the competition and out-performing everyone around you, look no further than Excellence Wins. Schulze pulls no punches as a masterful guide to becoming the very best in a world of routine compromise. Unleash the disruptive power of your true potential, own your career trajectory, and experience the game-changing proof firsthand: Excellence Wins.